Sony&apos;s recording media product line continues to expand with new releases in the SxS and XQD media product categories. Available from Spring 2017 are SxS Pro+ models SBP-64E, SBP-128E and SBP-256E. 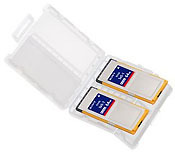 Available now are SxS-1 models SBS-64G1C and SBS-128G1C, plus XQD Memory cards QD-G64E, QD-G128E, QD-G256E, QD-M64, QD-M128. The following cameras and recorders need updated firmware to support the new media. If a product is not listed, there is no need for a firmware update. The Sony PXW-X500 has three 2/3-inch type Full HD CCD sensors, offering a high sensitivity and low noise image. The camcorder gives broadcasters a high degree of flexibility, allowing you to shoot in a wide variety of HD and SD formats, including XAVC Intra and XAVC Long GOP, MPEG SStP 422 Lite (HDCAM SR), MPEG HD 422 and MPEG HD 420, as well as MPEG IMX and DVCAM. Options allow the camcorder to record directly in Avid DNxHD and Apple ProRes, offering direct compatibility with NLEs. The Sony PXW-X500 camcorder also has a host of leading professional features, such as Slow & Quick Motion up to 30 fps for MPEG HD 422 (as standard) and up to 120 fps for XAVC (as an option), wireless operation, picture cache recording, built-in GPS, Digital Extender, variable ND filter control, HyperGamma, and many more. A wide range of connectors, including 3G/HD/SD-SDI, HDMI and USB, increase the flexibility further. XAVC Intra and XAVC Long GOP, MPEG SStP 422 Lite (HDCAM SR), MPEG HD 422 and MPEG HD 420, as well as MPEG IMX and DVCAM. Options allow the camcorder to record directly in Avid DNxHD and Apple ProRes. Up to 30 fps for MPEG HD 422 (as standard) and up to 120 fps for XAVC (as an option). Includes wireless operation, picture cache recording, built-in GPS, Digital Extender, variable ND filter control, HyperGamma, and more. The PXW-X500 is equipped with three 2/3-inch type Full HD CCD sensors. Based on the latest on-chip lens structure, this type of CCD offers a high sensitivity of F12 at 50i (F11 at 60i) and improved S/N ratio of 60 dB (with NS on). The camcorder also offers minimum illumination of 0.003 lx (typical) in 1080/59.94i mode +42 dB gain, with 16-frame accumulation. The Sony PXW-X500 supports not only MPEG HD 422 50 Mbps in MXF (Material eXchange Format), which is widely accepted by major broadcasters worldwide, but also XAVC Intra and XAVC Long GOP codecs. XAVC technology is based on the H.264 standard, which provides an exceptional performance compression technology. XAVC Intra (frame) compression means that every frame is encoded independent of the other frames - providing a better quality picture, without compromises. With a Long GOP codec, only certain frames are encoded individually. This allows the codec to squeeze the video into a much smaller bitrate than Intra technology. The main benefit is faster ingest and editing. XAVC Long GOP files also require less storage space than XAVC Intra files, providing budget savings on recording media. The Sony PXW-X500 XAVC codec adopts 10 bit sampling for high definition recording with rich tonal expression. The bite rate of XAVC recording is 111 or 112 Mbps at 1080/59.94i or 50i and 89, or 112 Mbps at 1080/23.98P or 25p. The high bit rate gives a better quality picture. * Slow & Quick Motion function for XAVC is available as an option. Lens, camera and media WiFi Remote or XMPilot live logging from a tablet or smartphone is achievable with built-in wireless module. The Sony PXW-X500 can record proxy video H.264 on an SD card. The resolution and bit rate of proxy video can be changed for a more flexible workflow. The proxy files are recorded in MP4 format for better compatibility with broadcast systems. The lightweight proxy video files are generated separately from the main line recording and recorded to SD cards for quick sharing of content over low-bandwidth mobile networks. The Sony PXW-X500 is equipped with two SxS memory card slots. The camcorder is compatible with SxS PRO+ and SxS-1 memory cards, XQD, SDXC and SDHC cards can be also used with an appropriate card adaptor. Two media slots can record in either "Simul" or "Relay" mode. "Simul" mode permits simultaneous recording to two memory cards, while "Relay" mode automatically switches recording from the first to the second memory card when the first is full. The user can set up the two Start/Stop buttons on the Sony PXW-X500, one on the grip and one on the camcorder body, to independently start and stop recording on different memory cards while recording in Simul mode. The Sony PXW-X500 is equipped with a variable ND Filter function, allowing you to choose four conventional mechanical ND filter positions from Clear, 1/4ND, 1/16ND to 1/64ND. 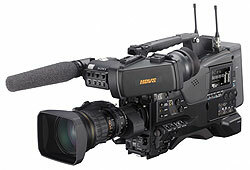 The Sony PXW-X500 camcorder offers numerous connections to suit the broadcast workflow, including 3G HD-SDI, HDMI®, USB, composite output, timecode input/output and genlock input. The 3G-SDI connector is able to output the 1080/59.94P or 50P signal. Down-conversion output from HD to SD is also possible. Simultaneous output from both SDI and HDMI is possible. 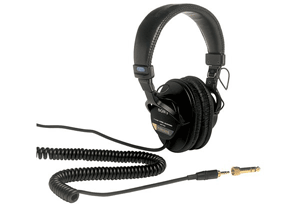 The Rec Trigger signal can be sent through SDI and HDMI to link an external recording device. The Sony PXW-X500 is fitted with a 2/3-inch B4 lens mount. The Sony PXW-X500 is equipped with a GPS device. The GPS data is automatically recorded in two file locations. The Sony PXW-X500 incorporates a 3.5-inch 1,555K dot LCD, offering high resolution and flexible composition options. The Sony PXW-X500 camcorder allows various functions to be displayed in the viewfinder, including Focus Mag and Waveform/Vectorscope/Histogram. Viewfinder options include the HDVF-20A, HDVF-200 and CBK-VF02. Four types of HyperGamma curve - inherited from Sony's CineAlta camcorders - are provided in addition to six standard gammas. The Digital Extender function of the Sony PXW-X500 enables images to be digitally increased in size 2x, 3x or 4x. Unlike lens extenders, the Digital Extender function performs this increase without any F-drop phenomenon (i.e., without loss of image sensitivity). The Sony PXW-X500 records uncompressed four-channel, 24-bit 48 kHz audio in XAVC Intra and XAVC Long MPEG HD 422 mode or MPEG IMX mode. Each channel level can be adjusted independently by individual level controllers.